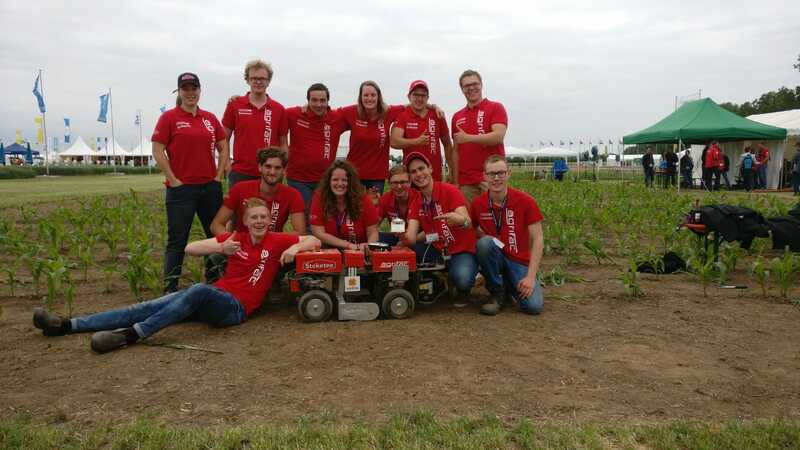 The Robatic Group consists of six students of the bachelor Agrotechnology from the Wageningen University. In 2019 we will build and redevelop the autonomous robot 'Steketee Bullseye' that will participate in the Field Robot Event 2019 at the DLG Feldtage the 17th till the 21th of June in Heilbronn, Germany. This site will show information and the progress of the team and robot participating this year. Picture of the Robatic Group 2018 at the event in Germany.